Manco Mfg. Co. is a family owned business specializing in steel fabrication and welding. Formed in 1975 by Patrick Nieberding, Manco Mfg. Co. has enjoyed steady growth every year. In our equipment page, you'll find a list of equipment Manco Mfg. Co. currently has in operation with new acquisitions planned for this year. 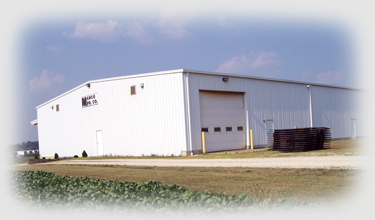 If your company is looking to contract outside fabrication work where quality and timeliness are essential, Manco Mfg. Co. would appreciate an opportunity to quote your needs. General Manager - Manco Mfg. Co.